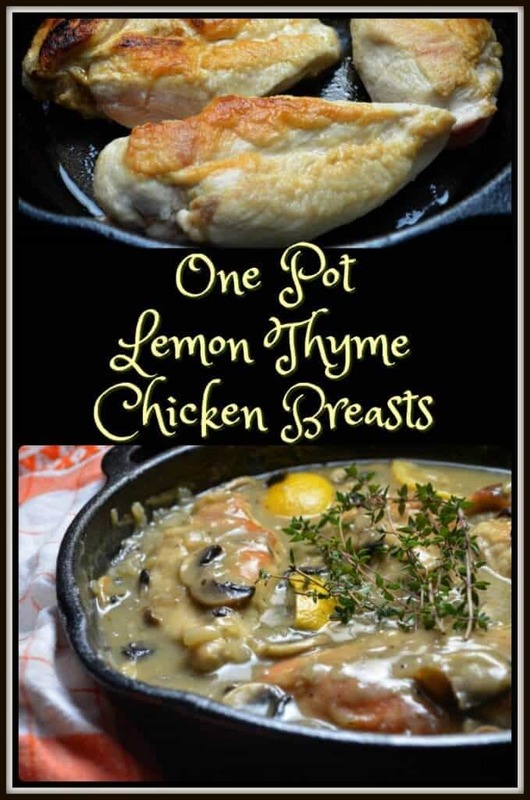 You’ll be amazed at how quickly this recipe for Easy One Pot Lemon Thyme Chicken Breasts comes together. I don’t know about you, but I always appreciate it when a meal can be prepared in less than 30 minutes, especially when that includes the clean up! Did I mention it can all be done in one pot? 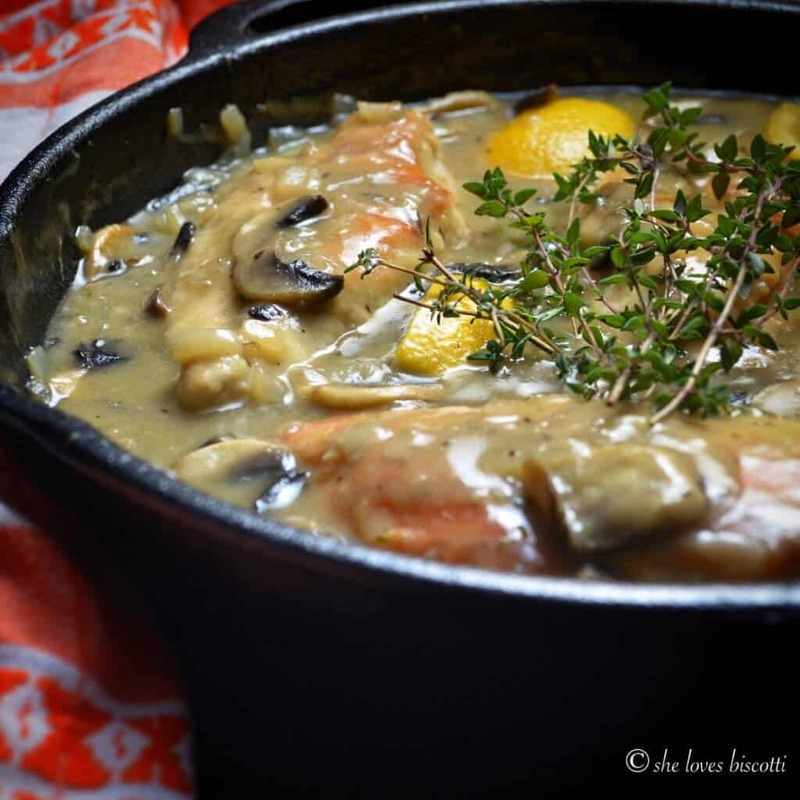 One pot, just one and I guarantee that the final result will amaze your taste buds! This recipe also makes for a healthy, quick and easy mid week supper meal, when there never seems to be enough time to get everything done. The whole process starts with a large frying pan and 4 skinless chicken breasts. 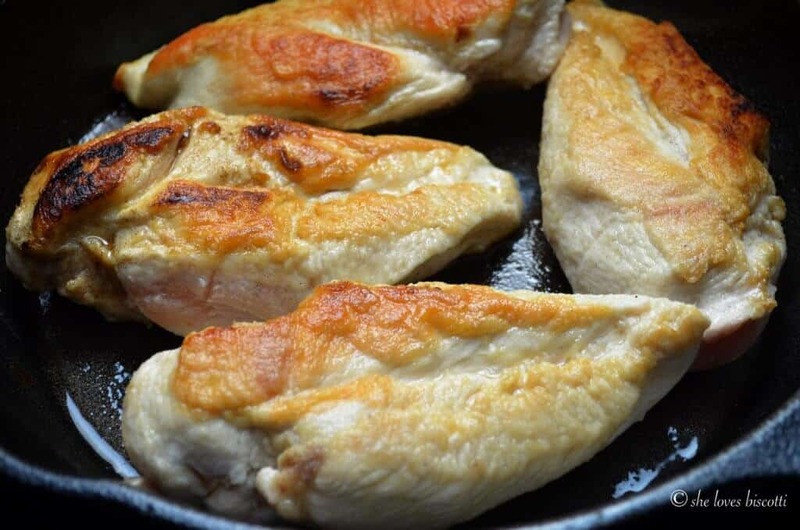 As the oil is heating, coat the chicken breasts with some of the flour. Add the seasoned chicken to the pan and stir fry for about 5-7 minutes per side. While the chicken is cooking, you can prep the vegetables. Real easy so far, right? 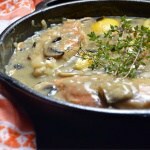 I like to use onions and mushrooms with this chicken recipe. Once you’ve got those chopped up, the chicken should be just about done. Remove the chicken from the pan; add another tablespoon of oil and stir fry your vegetables for a couple of minutes. Incorporate the reserved flour for a minute or so and then pour in the white wine while scraping the bottom of the pan. Add the chicken broth, lemon juice, herbs and spices, and adjust your seasonings. Bring the whole mixture to a boil. Add the chicken breasts back in with the vegetables; reduce the heat to medium-low, cover your pan and simmer for another 5 minutes or so until chicken is properly cooked. That’s it! I will usually serve this tangy chicken with some noodles and broccoli. A healthy, well-balanced meal in under 30 minutes. 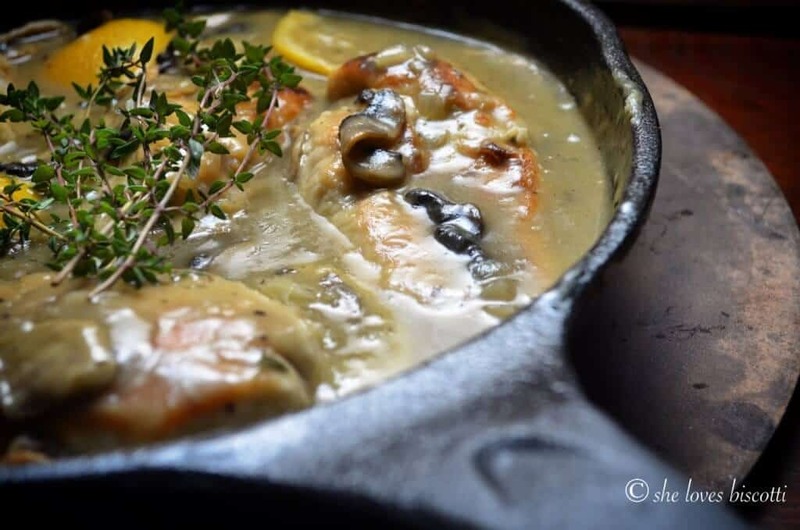 So there you have it… a recipe for Easy One Pot Lemon Thyme Chicken Breasts, which I’ve been making for over 15 years. 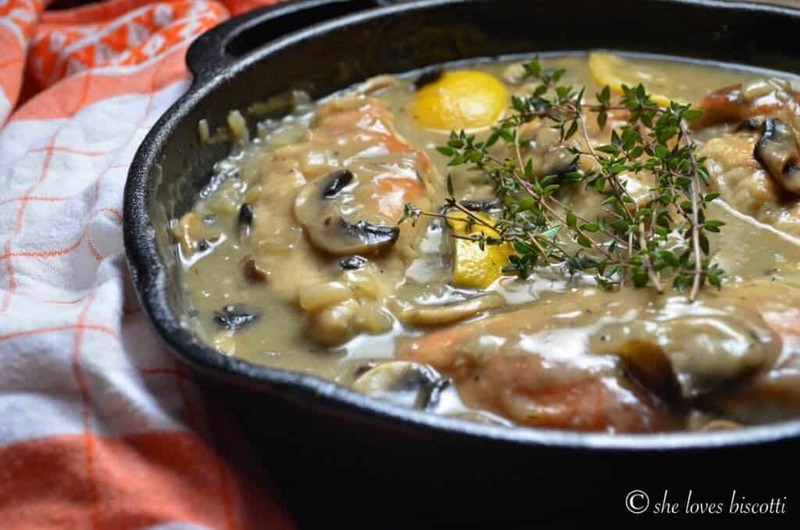 You'll be amazed at how quickly this Easy One Pot Lemon Thyme Chicken Breasts comes together...only 25 minutes and that includes clean-up time! Combine flour, salt and pepper in a shallow pan. Coat chicken slices with the flour mixture on both sides and shake off excess. Reserve the excess flour. Over medium heat, heat 1 tablespoon of olive oil in a large frying pan. Add the chicken pieces and cook for about 5 minutes until the chicken begins to brown. Add another tablespoon of olive oil, flip chicken over and brown the other side for another 5 minutes. Transfer to warm plate while the vegetables get cooked. Heat another tablespoon of olive oil, add the onions and cook for approximately 3-4 minutes (until softened). 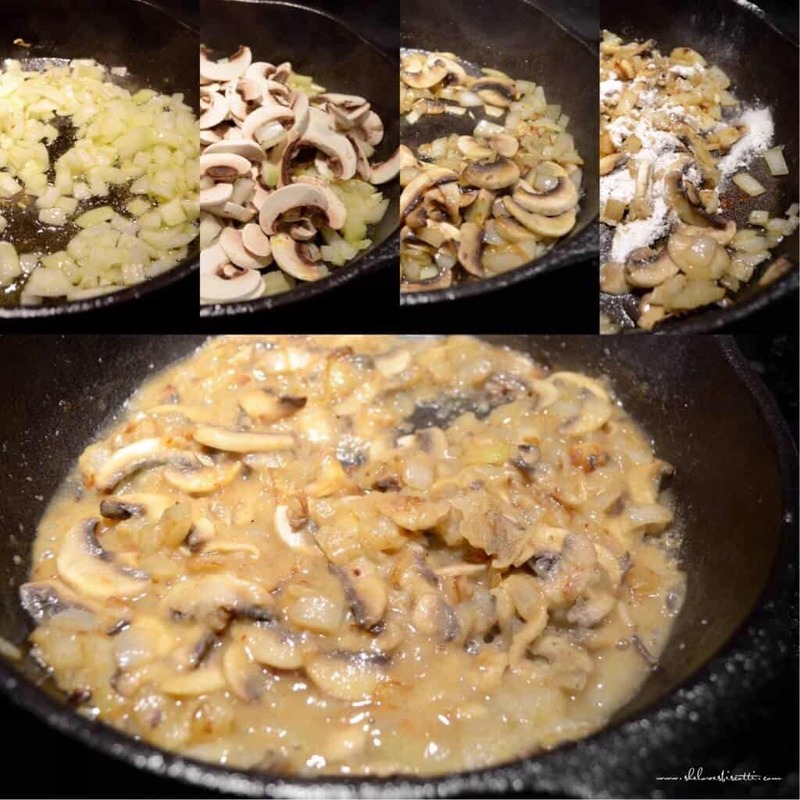 Add mushrooms and continue to cook for another 3-5 minutes. Add the minced garlic and stir fry for 1 minute. Stir in reserved flour and stir until everything is incorporated. Add the white wine while scrapping the bottom of the pan. Add the chicken broth, lemon juice and herbs and adjust your seasonings. Bring the mixture to a boil. Add the chicken breasts and reduce the heat to medium-low. Cover pan and simmer for another 5 minutes or so until chicken is done. Serve chicken and sauce with lemon wedges. *adapted from recipe in Creative Everyday Cooking-Timelife Books series. 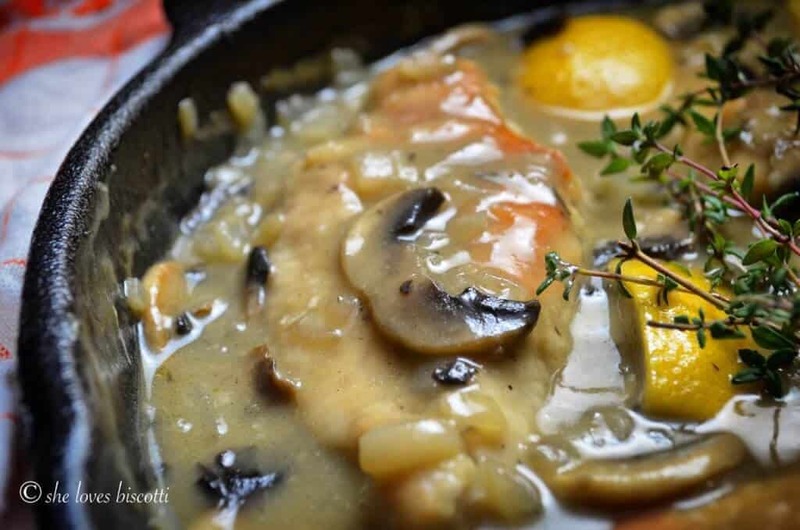 I love chicken recipes and this one looks really easy and tasty… can’t wait to try!